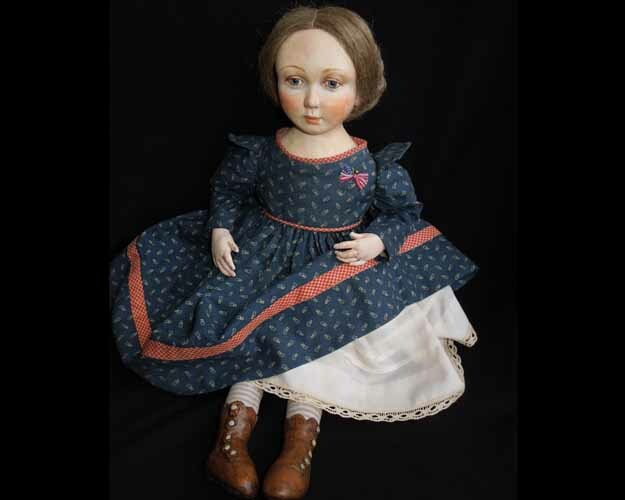 Rebecca Kerin spent the twenty-some years as a painter, working in various media, then found, through a creative journey, the wonderful art of doll making. 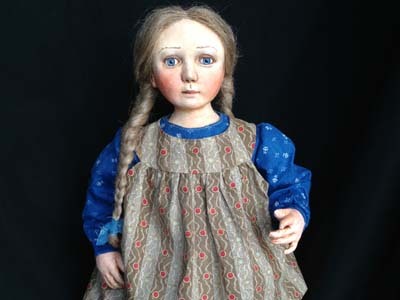 In creating her dolls, she not only gets to paint, but sculpt and work with the antique and vintage fabrics that she loves. 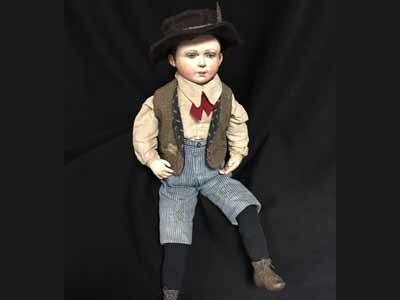 Kerin’s dolls are hand sculpted in fabric and papier-m�ché. 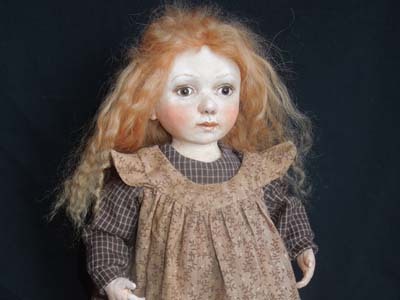 No two dolls are exactly alike, as she tries to give each a personality of her own. 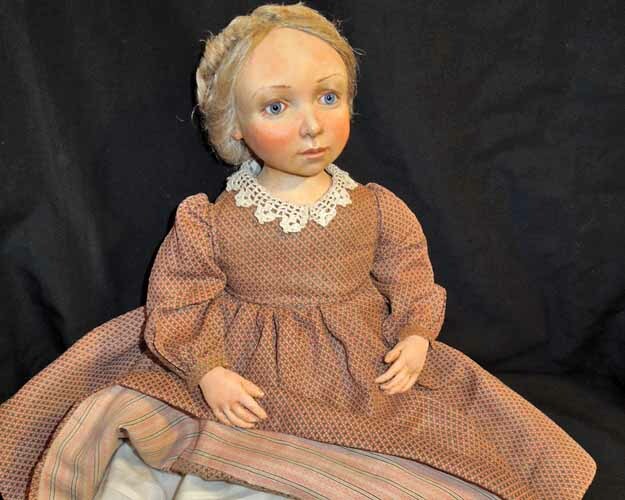 She is inspired by 18th- and 19th-Century dolls as well as antique children’s clothing and fabrics, but prefers her dolls to look more like the children who would have worn these garments rather than the dolls made during that era.